I want to get angry that Ole Miss is now up by 14, but I just can't get into this bowl game enough to give a crap. 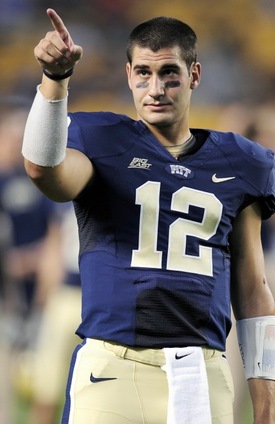 Shell and the punter seem to be the only two players who have shown up for Pitt today. Is the Punter that Yoklic kid from Gibsonia? He's only a frosh right? I'm taking the dog for a walk....hold down the fort guys. columbia wrote: I'm taking the dog for a walk....hold down the fort guys. ulf wrote: Tino's last game. I still can't believe this team had the best chance of any team this year of keeping Notre Dame out of the BCS Championship game. Mike Wallace went to Ole Miss. You think Bo Wallace is his younger brother? Perfect call against the blitz too. ulf wrote: Mike Wallace went to Ole Miss. You think Bo Wallace is his younger brother? wait that was definitely third down, no? Nice camera coverage on that. Chryst really trusts Gino eh?